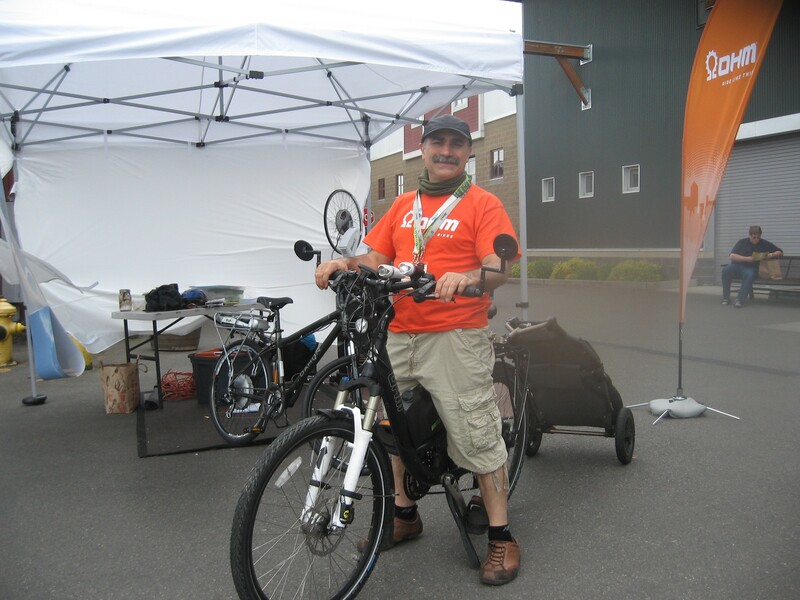 13,000 festival-goers swarmed over the Puyallup Fair Grounds June 2 & 3 for the 2nd Annual Mother Earth News Fair, in testament to a growing interest in sustainable living. “Attendance this year is up 30%,” announced Bryan Welch, publisher and editorial director of Ogden Publications – and head of the Mother Earth News, one of the foremost magazines serving the interests of those seeking to live in an environmentally sound world. 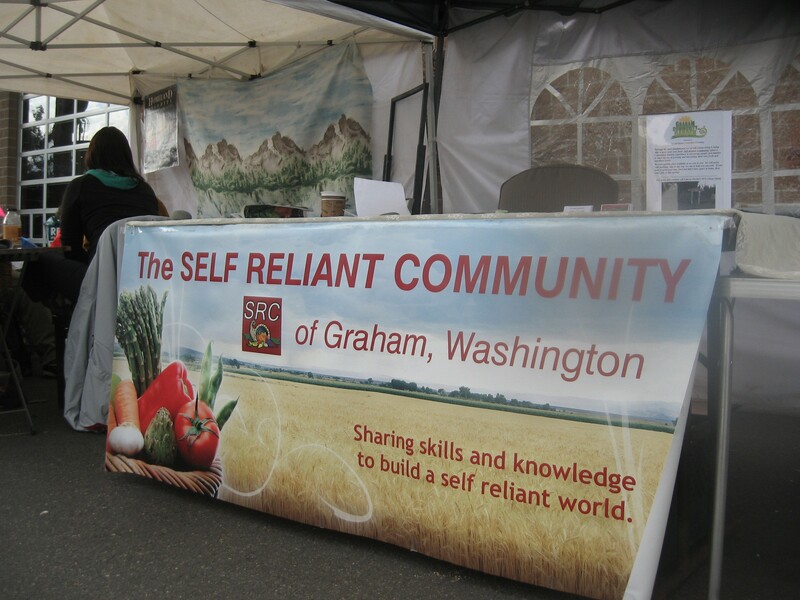 “It was great to see the crowds just flood into the place when they opened the gates at 9 a.m. on Saturday,” said Lisa Cool, at her Graham Self-Reliant Community booth positioned just outside of the main exhibit hall. 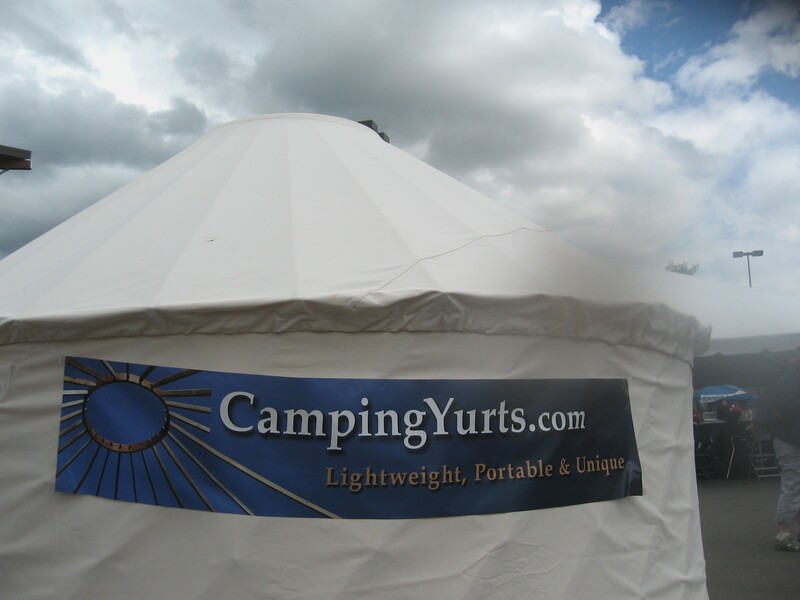 Festivarians had come from all over the Pacific Northwest to hear over 100 speakers in 150 workshops, and to visit with dozens of vendors and advocacy groups who hosted numerous booths in the fairgrounds’ halls and barns. 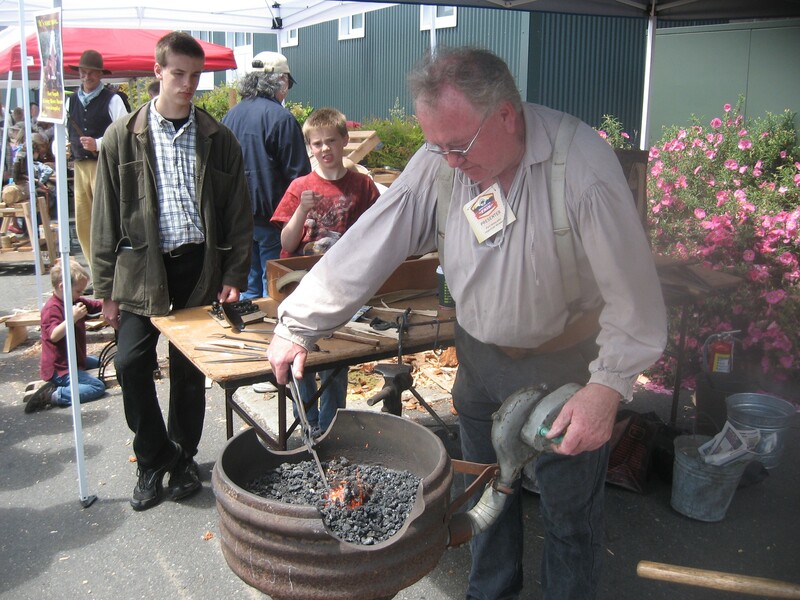 Topics ranged from the how-to’s of full-scale farming to backyard gardening, making bows and arrows from saplings in the forest to making an electric car or bicycle, and applying the lessons of the ancients in herbal remedies or understanding the impacts of global weather change. For back-to-the-earth folks the Mother Earth News Fair (MENF) was a mini-Woodstock of the mind and body. 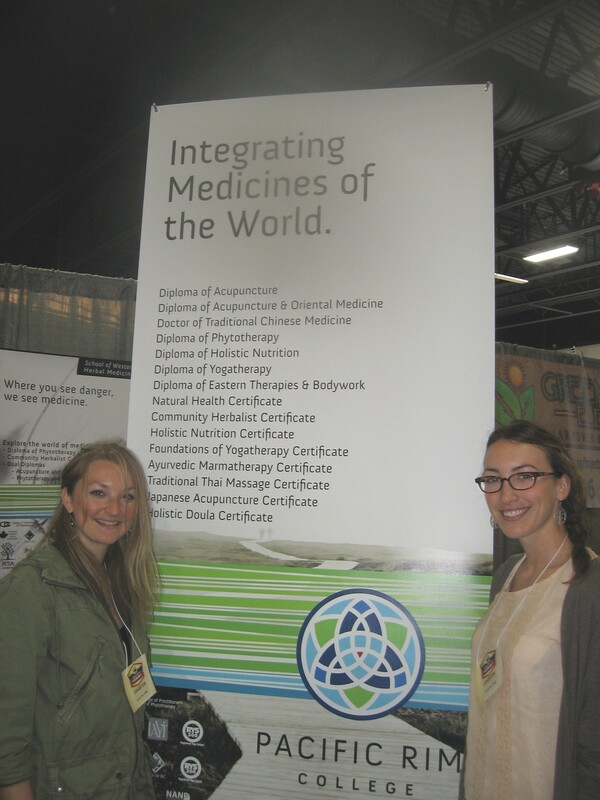 “It’s been great to spend two days with like-minded people who are serious about doing something to making the world a healthier place,” one festivarian named Jo told the Mountain News. 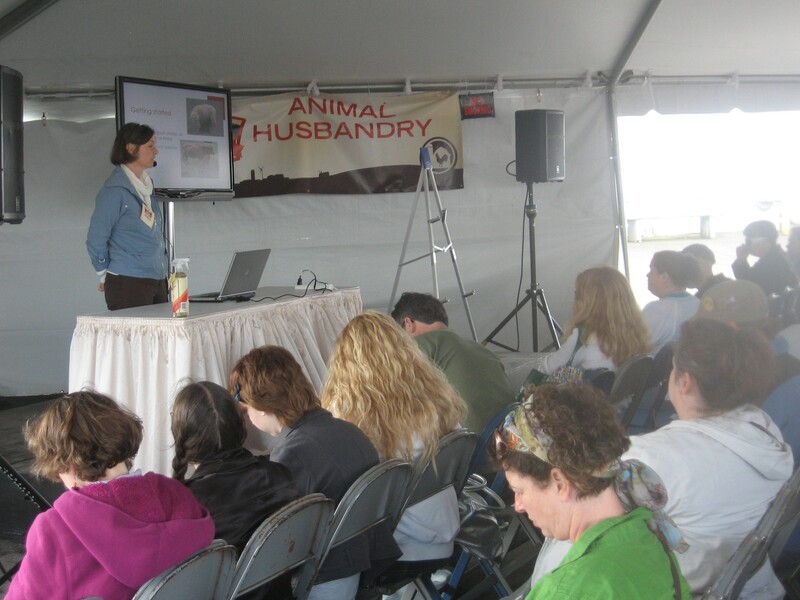 Many agreed with her, including Brandy Ernzen of the MENF staff, who acknowledged that not only was the crowd bigger than last year, the audiences seemed to be more intense, as illustrated by the numerous audience members taking notes, asking more questions and seeking more answers – and all expressing a keener passion than observed before. “The time is now,” said Ms. Ernzen, speaking to the idea that people are making life-style changes due to the continued economic downturn, or sensing a growing concern with the health of the planet – or themselves. In fact, one film crew that was interviewing some of the MENF speakers was from Seattle’s “Natural Awakening” video group. Mr. Salatin expanded on those themes in exclusive conversation with the Mountain News. In response, Salatin encouraged people to start businesses and grow their own food – whatever they can do to generate a greater degree of power in their own lives. Joel also made a strong connection between personal health and quality nutrition. Salatin mused for a moment and realized that nature thrives on disruption. Salatin courageously spoke to the world situation, especially the looming collapse of the euro and the continued economic woes in Greece and many other European countries, coupled with the financial turmoil and stagnation in the United States. Joel acknowledged that he has received several phone calls recently from business people in New York City asking for help in purchasing a suitable farm in his area of the Shenandoah Valley of Virginia, to which they can relocate and begin to grow food and develop a sustainable lifestyle. 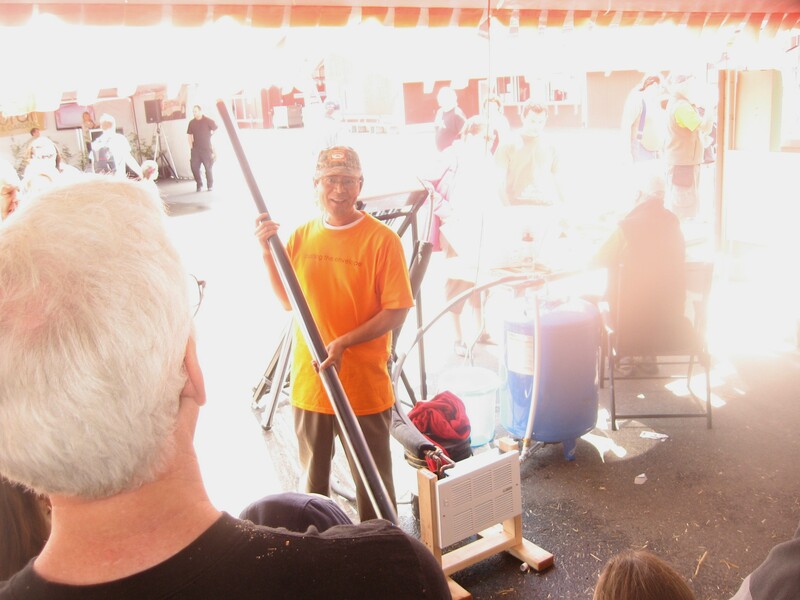 Along those lines, Joel championed the people at the Mother Earth Fair. “This is a can-do crowd,” he said proudly. 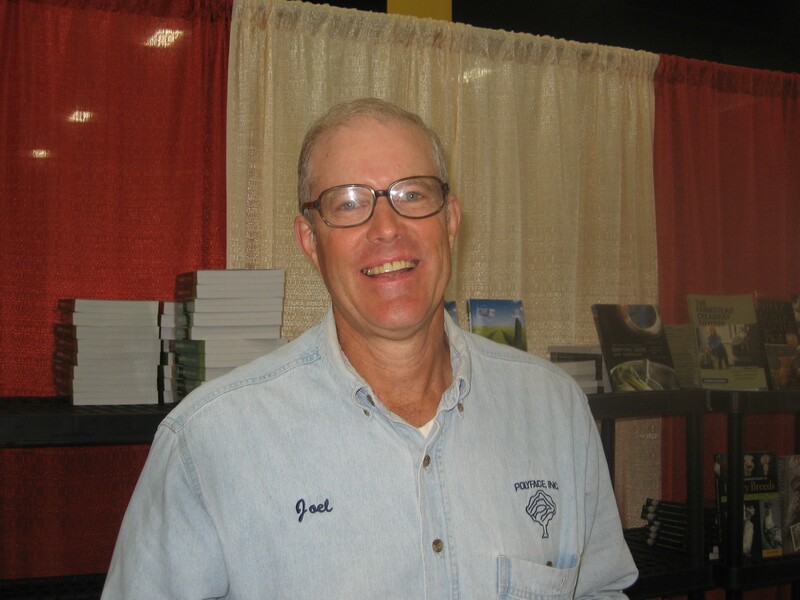 Salatin, who is the author of many popular tracts on sustainable living, spoke to a standing-room-only crowd of 1,800 at the MENF, and later was greeted repeatedly by his appreciative readers, many of whom said that his writings helped them make important changes in their lives. Salatin acknowledges that his own life follows the arc that he describes for empires, and his 550 acre Polyface Farm in Staunton,Virginia has had to cope with his fame and the growing hordes of seekers who want to learn the lessons of sustainable agriculture at the feet of a master. “We get a crush of people,” he said with a laugh, and despite having formal tours he has been required to insure that his family has more privacy, such as by moving the on-site residencies of his interns. In fact, he and his family are so busy that they can not tend the family garden so they “privatized” it to a local contractor, who grows what the Salatin family wishes and then keeps the rest to sell or re-distribute. But the real key is the perspective of integration and mimicking nature. According to Salatin, the current food production system is fragmentized and segregated, and overly reliant on cheap energy and transportation. The resulting factory farms and huge feed lots are ultimately destructive and unsustainable. Salatin says that gives us the illusion of plenty, and he proves his case by announcing that Iowa has lost half of its topsoil in the past 100 years. “That is clearly not sustainable,” he declared. Salatin’s solutions are plentiful and often whimsical – but real. He touts the example of a city in China that used roof top farming to feed a city of 250,000 people. He also champions a nutritional shift to consume more perennials, such as fruits, which are less labor intensive than annuals, such as grain crops. One obvious source of new agricultural lands close to the marketplace are the 35 million acres of lawns in the United States Salatin declares, and adds that the biggest impediment to producing sufficient amounts of healthy foods is the lack of creativity. “Constipation of imagination is our biggest problem,” he jokingly announced to his MENF audience. As for folks who want to embrace the notions of sustainability but live in an urban environment, Salatin says they have plenty of options. “Buy unprocessed foods,” he touts, adding that the key is to be closer to nature, to become intimate with the source of our food. Hence, he encourages people to “process” their foods at home, and then maintain a home composting station that will in turn produce soil for container gardens. “For those who feel stuck, a place to start would be to turn off the TV set and meet a farmer,” he says. “Participate in the dance of life,” he said with a lilt in his voice and a gleam in his eye. 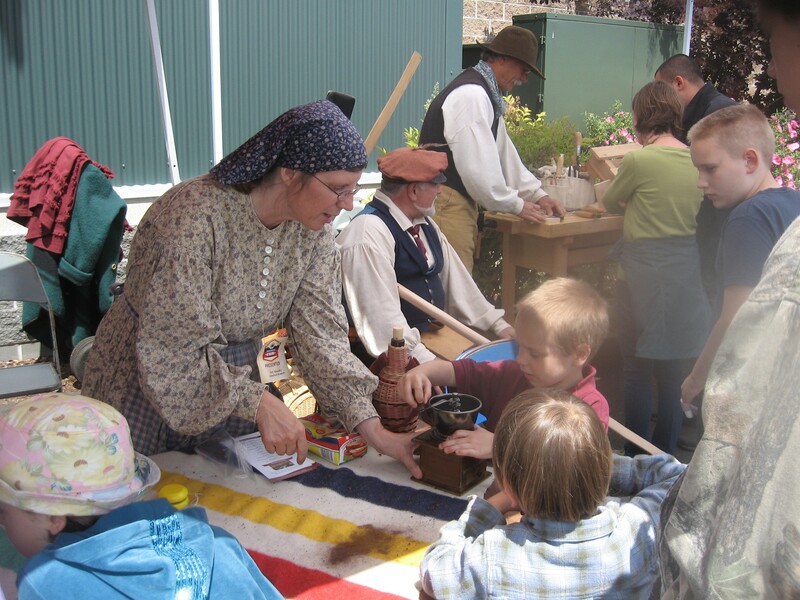 Re-enactors from the Fort Nisqually Historical Museum ginding coffee the old-fashioned way with kids. 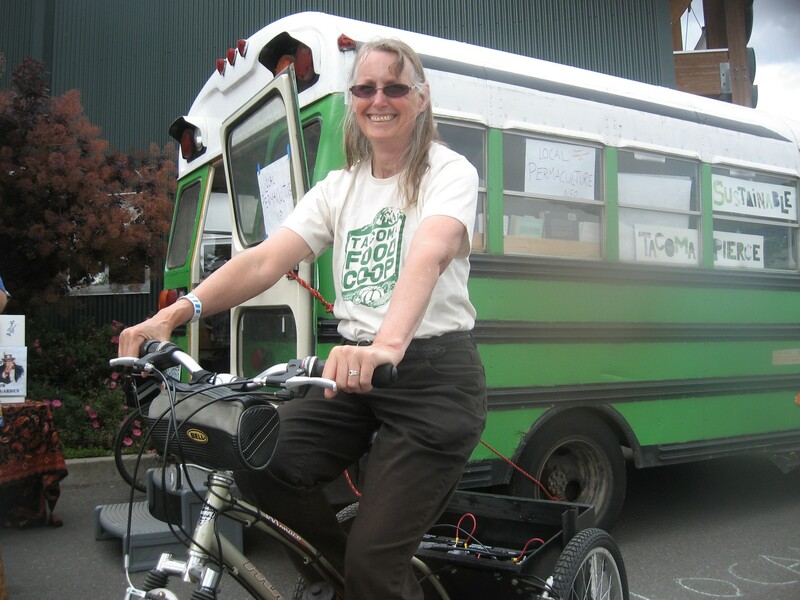 Patricia Menzies of Sustainable Tacoma-Pierce County astride her electric trike, posing in front of her nationwide touring bus filled with literature on sustainability. Ray Lam, owner and founder of Silk Road Solar, displaying his latest passive solar hot water heating technology at the Mother Earth News Fair in Puyallup. 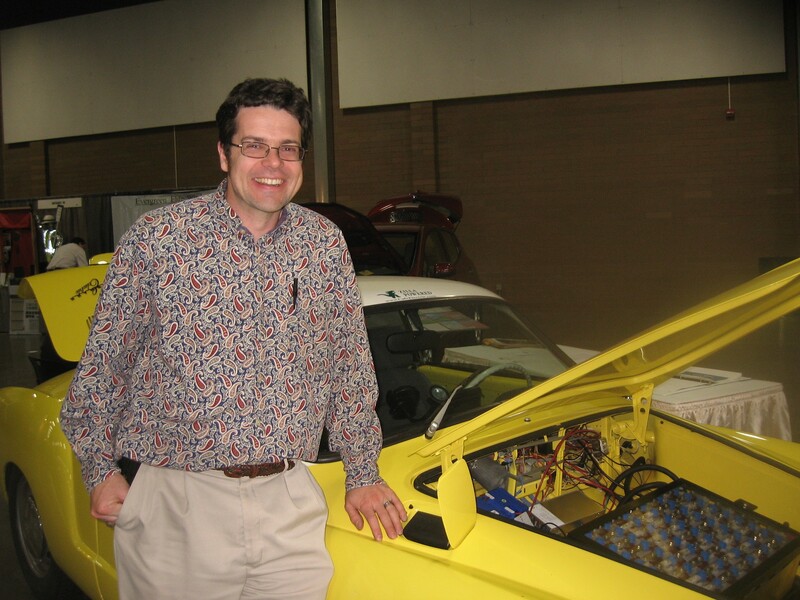 This entry was posted in Business, Culture, Environment, Events, Puyallup, Remarkable men and women. Bookmark the permalink.